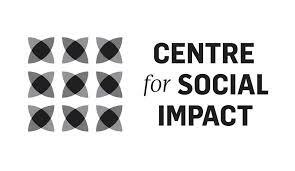 Cheryl Kernot is the Social Business Fellow at the Centre for Social Impact. Her role at Centre for Social Impact involves providing thought leadership on social business, social enterprise and social procurement. She writes regularly on these topics, speaks at events throughout Australia and advises emerging talent and organisations. Cheryl has been elected Chair of the Fair Trade Association of Australia and NZ for the past four years. She served as an honorary board member of Foresters Community Finance for four years until 2011 and was on the founding committee of a UK charity that works to provide shelter and education for street children in Kampala, Uganda. Cheryl is one of the National Trust’s 100 National Living Treasures. She was Leader of the Australian Democrats from 1993-1997 and the Member for Dickson and a Labor Shadow Minister from 1998-2001. Her political portfolios included, amongst many, Indigenous Affairs, Treasury, Employment and Women’s Policy. She played a major parliamentary role in the introduction of compulsory superannuation and in the introduction of Native Title. Her policy interests have been in social justice and social structural reform and in 1994 she introduced legislation to legitimise parental leave; in 1998 she introduced trial social inclusion projects to the Labor Party’s employment platform. Her work in the UK has been an extension of this pioneering policy interest. She was a member of the Council for Reconciliation from 1992-1997.